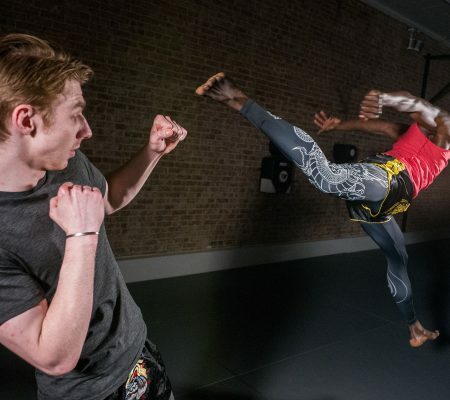 “My martial arts journey began at age 25, when I enrolled in Tae Kwon Do. I was overweight and needed a mean to release stress and get healthy. I fell in love with martial arts because it made me a positive person, physically and mentally. During my years of Tae Kwon Do, I was a part of their Leadership Program and I took up weapons (Bo staff and Sai). 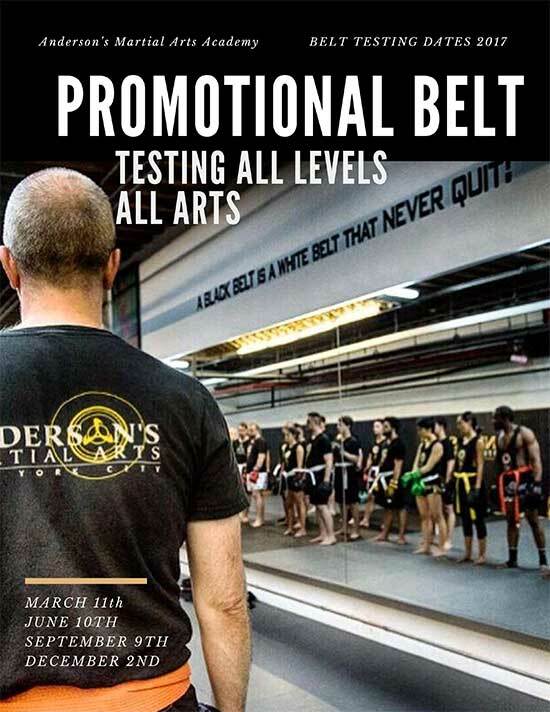 Unfortunately, I only made it to Poom (Junior Black) Belt due to a change in my work schedule. Life happened, having a kid and going to the gym just to stay active and healthy. I got bored and felt I needed change. In June of 2012, I joined Anderson’s Martial Arts for the Kettlebell Kickboxing Program. 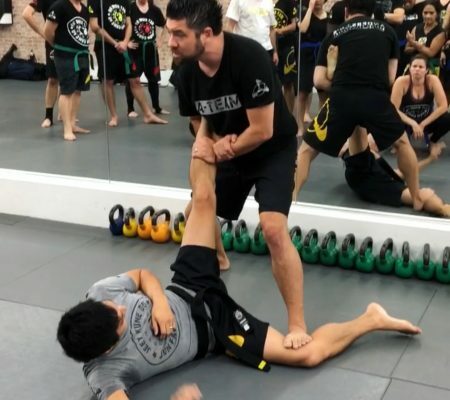 My brother was a student and he would practice his Jeet Kune Do and Jiu Jitsu techniques. I was so intrigued that I started Jeet Kune Do a month later. 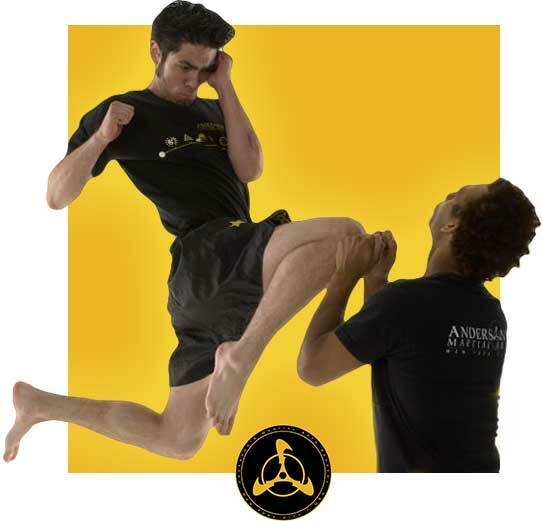 From there, I just continued to take advantage of the other martial arts that Anderson’s had to offer. I am currently a Green Belt in Jeet Kune Do and will continue to absorb and learn all that I can from Sifu Anderson. A year after I joined Anderson’s Martial Arts, I started Brazilian/ Gracie JiuJitsu. After one class, I knew that I would love this art. The mental and physical aspect of it is super empowering. I feel like I can conquer anything, at work and at home. 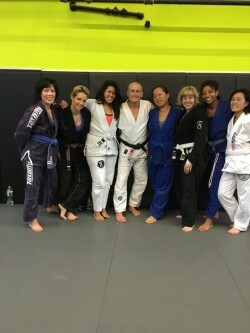 The art of Brazilian Jiu Jitsu is challenging and some days you feel so defeated that you’ll cry. Some days are so much fun, I’d laugh while rolling with my training partners. I keep myself as healthy as I can so I don’t ever have to give up because there is so much more to learn. 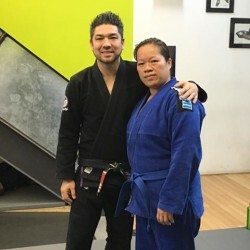 When I received my Blue Belt, I felt like I broke through the first obstacle. It was such an honor to have Sifu and Coach Maxwell both promote me, it made all the waiting worth the while. 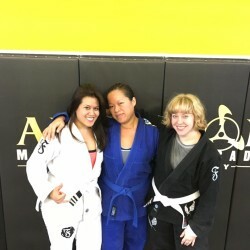 If you are interested in Gracie or Brazilian JiuJitsu and Self Defense then you should email us, this way you can checkout the classes at AMAA, including a FREE one-on-one introductory session, and even an option to try a class (or two free) to see what martial arts training can do for you.